I was thinking about RFID technology and how it can impact the development of future PLM software. One of the problems I can see in design and manufacturing is a missing link and information about product’s life after they leave manufacturing shop. There is almost no reliable way to monitor products in a real life. Try to answer on the following questions that can sound crazy today: How your product was transported? What was an air temperature in a storage facility? What condition car or plan or whatever else experienced before it was broken? You can think about many interesting questions. Is it real to answer on them? 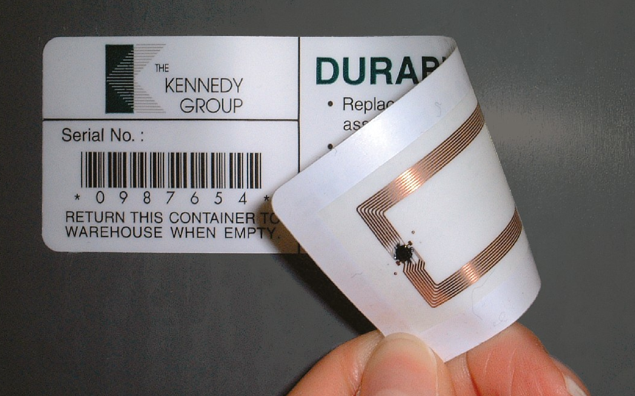 From Wikipedia: Radio-frequency identification (RFID) is the use of an object (typically referred to as an RFID tag) applied to or incorporated into a product, animal, or person for identification and tracking using radio waves. Some tags can be read from several meters away and beyond the line of sight of the reader. This is a new way to identify everything, by adding a tag (physical device) to everything. Such tags can be very small and provide a way to track them using special screening devices. The RFID type of the devices was designed with a passive behavior. The new promising technology called RuBee ( coming to change RFID devices and make them active). RuBee device will be able to transmit actively information using special radio frequency protocol. From Wikipedia: RuBee IEEE 1902.1 (IEEE P1902.1) is a two way, active wireless protocol that uses Long Wave (LW) magnetic signals to send and receive short (128 byte) data packets in a local regional network. The protocol is similar to the IEEE 802 protocols which are also known as WiFi (IEEE 802.11), WPAN (IEEE 802.15.4) and Bluetooth (IEEE 802.15.1), in that RuBee is networked by using on-demand, peer-to-peer, active radiating transceivers. By implying various tracking technologies such as RFID and RuBee, we can think about the ability to gather an amount information about products we design and manufacturing. It will be giving us a significant advantage in different aspects of product development – optimizing manufacturing and supply chain, usage experience, warranties and many others. I can think about many use cases where manufacturers, suppliers and retailers will be able to communicate in a much easier way in a chain of designer-manufacture-retail-consumer in both directions. What is my conclusion today? I think RFID, and RuBee technologies can make a shift in communication in the engineering and manufacturing world. Is it practical today? I think we can see some examples of RFID usage in a supply chain and retail these days. The biggest problem is cost of tag and reliability of tracking devices. However, I expect cost (and size) of a device to be smaller. In addition, tracking devices will be improved as much, we’ll push forward various WiFi technologies. RFID has a great impact on today’s society. A lot of business is using RFID tags, RFID reader, etc. Great post.